I’m sorry ladies, but the Family Sharing really was described right from the start (in the FAQ) that access to any game blocks the sharing of the whole library. 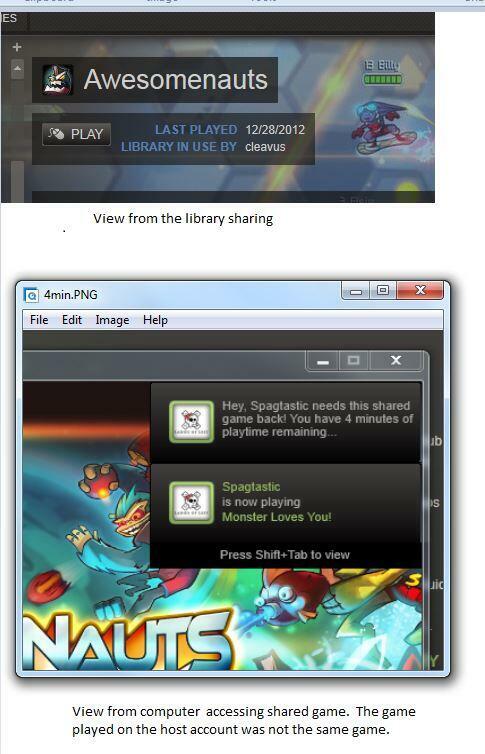 >CAN TWO USERS SHARE A LIBRARY AND BOTH PLAY AT THE SAME TIME? >No, a shared library may only be accessed by one user at a time. Of course that’s not how I would like it to work. And I don’t expect you to have time to research every news in full detail, I just want to show that this issue was generally known right from the announcement. And that I need to authorize a machine myself is very clunky and unfortunate, agreed. That wasn’t listed in the FAQ when the news first broke. I’m sure they added after people like me expressed confusion. 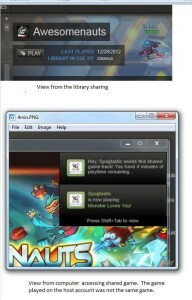 Oh and I found out 2 people can play the same library. The owner needs to be in offline mode. So janky but booya! Maybe I took the additional explanation from some article at the time of the announcement.